Hello, Lovelies, I am excited to write this blog review because the product I am going to talk about might change the "staying power" of your makeup. If you are like me and you have oily skin, then you'll know that the ability for your makeup to last all day can be a bit tricky, or next to impossible. Using blotting paper throughout the day can help with the oil/shine that your skin produces; but when you are blotting your face every 2-3 hours, your makeup might just come off. Imagine if you have a social engagement at the end of the day, and you don't have the time to re-apply your makeup. 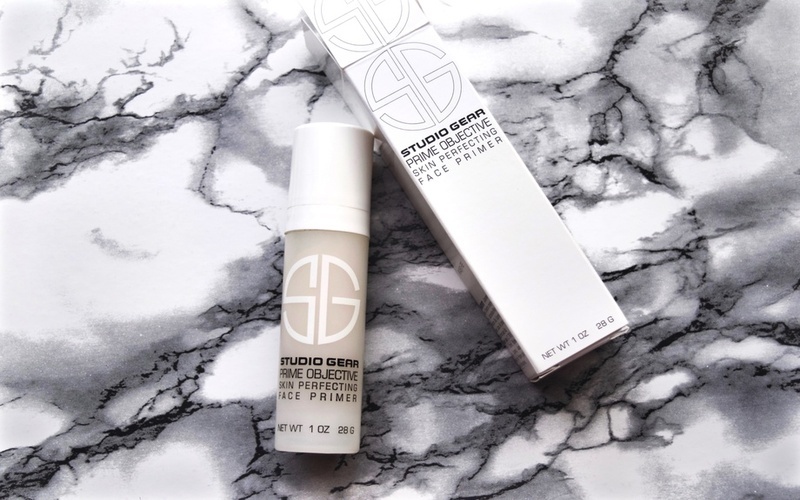 Well, I am excited to introduce you to "Studio Gear Prime Objective Skin Perfecting Face Primer." PRIME OBJECTIVE is a silicone based face primer that acts to “re-touch,” or visually diminish, imperfections in the surface texture of the skin. PRIME OBJECTIVE contains a sustained release liposome system with retinol that can help support cell turnover and reduce the appearance of fine lines and wrinkles, as well as a milk protein complex that can help to balance and protect the skin against environmental stresses. The “skin perfecting” effect of this state-of-the-art formula is further enhanced with optical diffusers. 1. Cyclomethicone: Primes while leaving the skin incredibly soft and smooth. 2. Liposome System Containing Retinol: Promotes cell renewal as it diminishes the appearance of fine lines and wrinkles. 3. Pro-Biobalance: Highly beneficial in moisturizing, firming, smoothing and balancing stress damaged skin. 4. Lactose, milk protein: Used as a skin conditioning agent and humectant. 5. Bifida Ferment Lysate: Serves as balancing care for stress damaged skin. Protects from environmental stress and stabilizes the immune system of the skin. 6. Antioxidants: Anti-aging, promotes cell renewal, strengthens skin structure and protects from environmental damage. 7. Optical Diffusers: Brightening and line minimizing. I have used various face primers over time, but I'll admit Studio Gear Prime Objective is among my favorite top 3. I love the packaging; it has a pump, so it makes it easier to dispense the product. 1. I cleanse my face with one of my favorite facial cleansers, rinse with cool water and pat dry. 3. I then wait for about ten minutes for the products to completely absorb into my skin before I continue to the next step. 4. My next step to achieving an all day makeup application is to first apply my Studio Gear Prime Objective Skin Perfecting Face Primer. 5. I use two pumps; I dot the primer on my forehead, cheeks, chin, nose, and cupids bow. I then proceed to apply the primer in a circular motion all over my face avoiding my eyelids. 6. After using my face primer, I follow with my usual everyday makeup routine. The formula is enhanced with optical diffusers. Optical Diffusers are tiny particles that adhere to the skin and are beneficial for filling in the fine lines, wrinkles, and other skin imperfections and reflect light away from them. 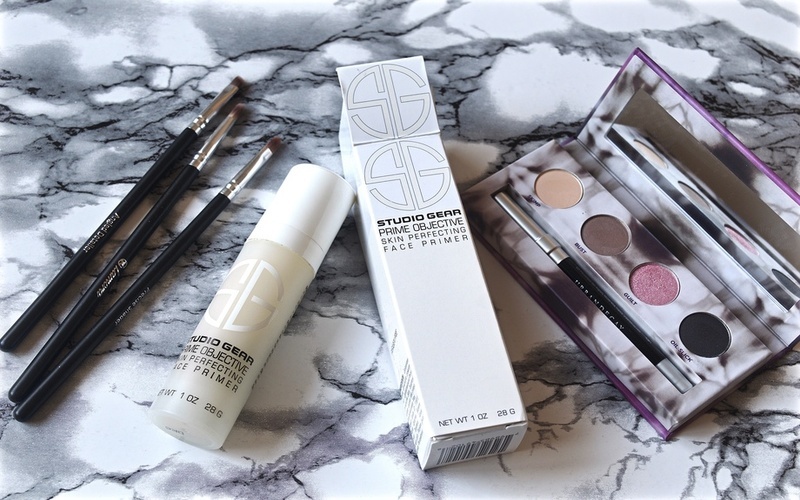 Studio Gear Cosmetics is a prestigious cosmetics brand featuring a full collection of professional makeup brushes, revolutionizing complexion formulas, and a wide selection of color products for the eyes, cheeks, and lips. This is a line created true to the concept that every woman deserves professional, high-quality cosmetics at a reasonable price. I am happy and impressed with the Studio Gear Prime Objective Face Primer. I will give it a 5-star rating. *This post is in collaboration with Studio Gear. All thoughts and opinions are my own. How do you control "make-up shine" throughout the day? 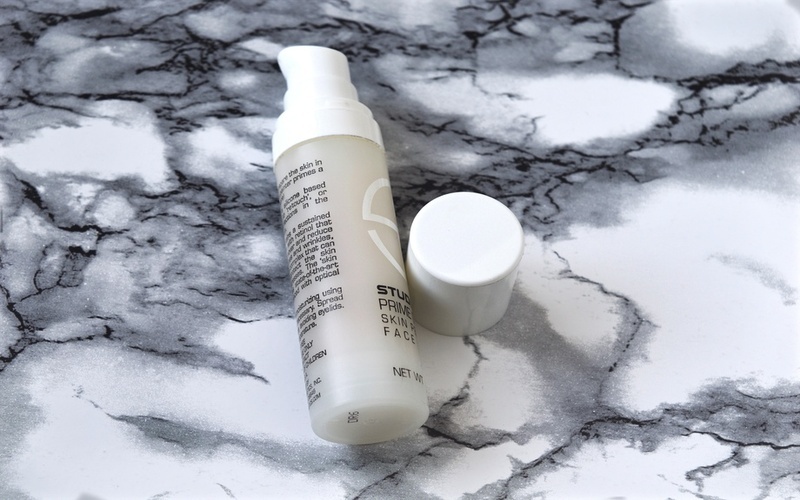 Have you ever used Studio Gear Prime Objective Face Primer? Subscribe to this blog for more beauty reviews.